Four Wheel Drive Queensland has been cleaning up Fraser Island (K’gari) since 2001 with the event held annually over a weekend with Four Wheel Drive Queensland affiliated clubs and their members volunteering their time to clean and weed this World Heritage Island. Four Wheel Drive Queensland works closely with Queensland Parks and Wildlife Service as the driving force behind this event. 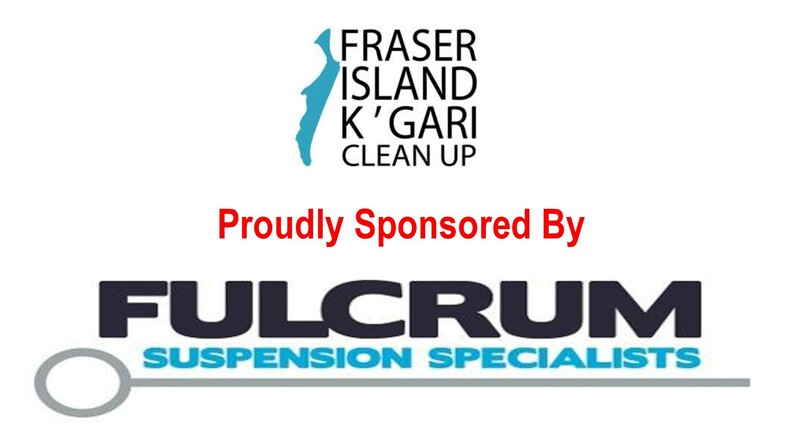 Four Wheel Drive Queensland Fraser Island Clean Up does not receive government funding and therefore we solely rely on support from sponsors to ensure the events continuation into the future. Four Wheel Drive Queensland is the peak body representing the common interest of four wheel drive owners and club members across Queensland. By advocating on behalf of our members, we aim to improve recreational four wheel driving, protect the environment, encourage education and knowledge sharing whilst creating fun and active outdoor communities across Queensland. Did you know that volunteers cleaned the beach from the Inskip barge landing site to south Ngkala rocks including south Waddy and major tourist destinations such as Lake McKenzie, Central Station, Champagne Pools, Lake Birrabeen and Lake Boomanjin with a staggering 6,974kg of waste removed!!!! When you are on a trip whether it is driving or camping take your rubbish with you. Always carry spare bags / containers that you can use to collect your unwanted rubbish in. Whilst you are enjoying your time whether it be 4WDing or camping collect others unwanted rubbish as you go. How many animals are killed by rubbish? How much rubbish goes into Landfill? Australia alone sends 20 million tonnes of garbage to landfill every year. Since the 1990’s the number of landfills in Australia has fallen but the average size has grown. These large sites are increasingly sophisticated and generally run by large private companies. Few shoppers stop to consider that disposable plastic bags have a devastating impact on marine animals such as whales, seals, sea birds and turtles. More than 100,000 animals die every year after becoming entangled in or eating plastic bags.